• Highlight or emphasise important information quickly and easily. • Easy to write on surface. 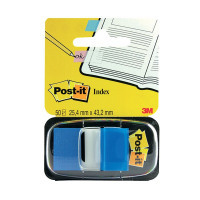 This pack of 50 Post-it Blue Index Tabs provides an easy way to mark and highlight important information in an instant. 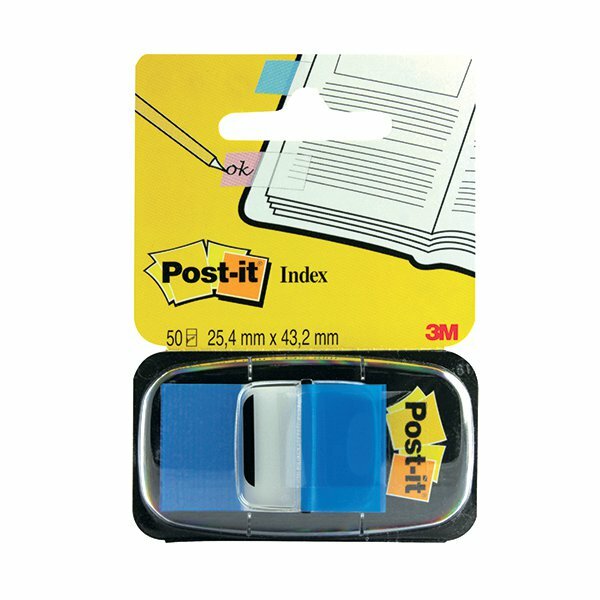 With Post-it removable adhesive, you can easily apply, remove and re-adjust them as necessary whether you're highlighting parts of a document or marking relevant pages in a book. With blue-coloured tips and a semi-transparent design, you can mark areas on the page without obscuring text. These 1in tabs include a handy dispenser for instant access.